there are ways to get yourself engaged as a way of gathering experiences. Volunteer to gain experience - Volunteering is not just about helping communities. It is also an opportunity for an individual to gain experience, change career, learn about something new, etc. Rather sit at a place an mourn the number of years of experiences being requested by these employers of labour, you can start now to start gathering them for yourself in the field of your interest. Identify free online courses and apply - The internet has made it possible for everyone to access different kind of opportunities. One of these are the free online courses available. Take advantage of them and study to know more about your area of interest. For example, completing course on International Development, Gender studies if interested in gender issues, Education, Reproductive Health, Governance, etc. This way, you will be equipping yourself and enriching your resume. Read books - This is almost related to the above point. Find books in your area of interest and read them. This is to help you start gaining experience in terms of knowledge, while waiting for the opportunity to practice. Join networks - you can learn a lot by joining NGO networks. It will give you the opportunity to meet new people in the field...development actors if you like. You will also learn about different organizations and what they do. Networks could also open the door of that opportunity you are looking for. Networks include online and 'on the ground' networks. 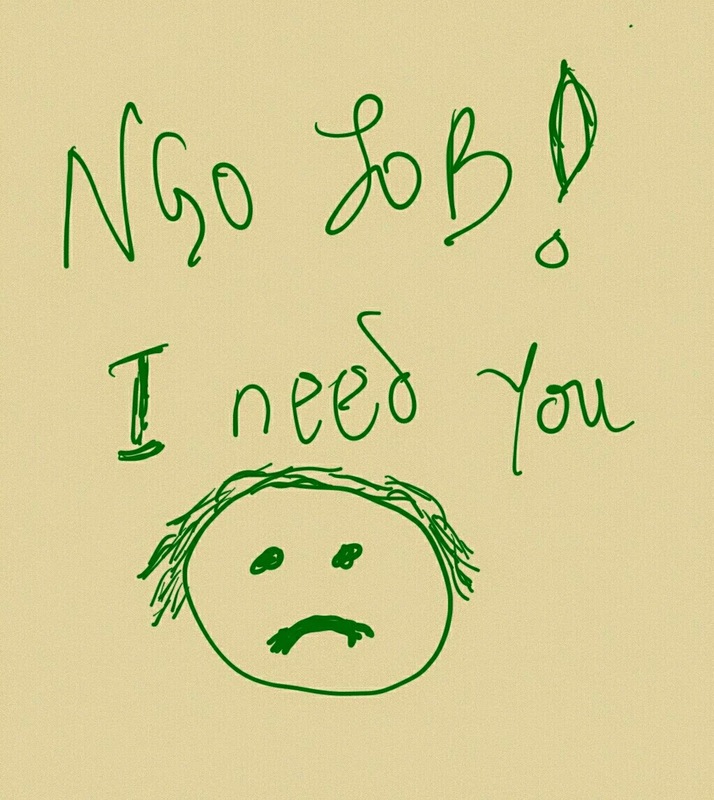 Let people in the sector know - it is important you let people in the sector that you are looking for an NGO job. You never know when a vacancy/opportunity, that they may know about will crop up. When this opportunities come, you will come to mind since you have informed them. With the information, you will be able to send in your application. Keep your ears to the ground - If interested in an NGO job, do keep your ears to the ground for opportunities. Look out for them as well. When they eventually come, do not be tired of sending in your applications.